KANDAHAR AIRFIELD, Afghanistan -- One Canadian soldier was killed and another injured when a blast from an improvised explosive device hit their foot patrol this morning southwest of Kandahar City. Pte. Tyler William Todd, 26, a member of the Princess Patricia's Canadian Light Infantry, 1st Battalion, was the 142nd Canadian soldier to die in the Afghan war. He was killed in an area considered vital terrain for NATO's upcoming Kandahar province offensive. "Tyler was a practical joker: he would often hide rocks and candies in other soldiers' bed spaces," said Canadian Brig.-Gen. Daniel Menard. "He never allowed the small things to get to him and was often the rock that other soldiers could depend on. He was a dedicated soldier and excelled in all the positions in which he was employed. His enthusiasm and strong will were inspirational to the platoon." The injured soldier was taken for medical assistance, but was reportedly conscious and talking after the explosion. The blast occurred around 7:30 a.m. local time, within what the Canadian Forces consider to be the "ring of stability" around Kandahar City, a densely populated area where Canada is focused on solidifying NATO and Afghan-government control. Patrols such as Sunday's are part of Canada's effort to prepare for NATO's major Kandahar summer offensive by identifying threats and local needs while putting forward an Afghan-led NATO presence. NATO's counter-insurgency strategy for southern Afghanistan relies on such tactics to try to counter Taliban influence, and they are intended to reduce the need for fighting during the offensive. "The patrol was part of the battle group's effort to learn more about the people of the village and their needs," Brig.-Gen. Menard said. News of the soldier's death shook those who knew him from his time in Alberta. "He was a very focused and strong young man who wanted to serve his country," said a tearful Marlene Peters, a relative in Calgary who hosted the young soldier during his summer training stint in Edmonton. "We were just so proud of him." Prime Minister Stephen Harper offered his condolences to family and friends of the dead soldier while expressing hopes for a quick and full recovery for the injured Canadian. 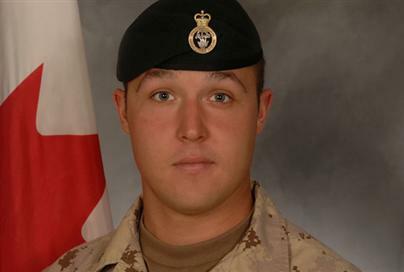 "Canada is grateful for Private Tyler William Todd's sacrifice. We are all saddened by this loss," Mr. Harper said. "The courage demonstrated by the Canadian Forces in this mission speaks to their dedication of creating a better future for the Afghan people. Canada's commitment to this goal is not diminished by this incident." In a statement, Gov. Gen. Michaelle Jean offered the family "our most sincere condolences and deepest sympathy" noting the death "occurred just days after a national commemorative ceremony to mark ‘The End of an Era,' during which thousands of Canadians honoured the brave contribution veterans made during the First World War." Dand district, where the Canadian "model village" of Deh-e-Bagh is located, had been considered relatively safe until four Canadian soldiers and a Calgary Herald journalist working for Canwest News Service were killed by a road bomb there in December. Pte. Todd died very close to the border with Panjwaii district, where many Canadian soldiers have died. Canadian Lt.-Col. Simon Bernard nine days ago described areas such as Belanday as "key terrain" for the early stages of the offensive, planned to be NATO's largest-ever in Afghanistan. Pte. Todd's death came 22 days after Cpl. Darren Fitzpatrick, 21, succumbed to wounds suffered on a March 6 foot patrol hit by an improvised explosive device. Such homemade bombs -- usually booby-trapped munitions or plastic jugs full of fertilizer and diesel oil, have now killed 86 of the 142 Canadian soldiers lost in the war. East of Kandahar City on Sunday, four people were killed when medics arrived at a site where a Demining Agency for Afghanistan van had been hit by an improvised explosive device, and another IED went off. Mirwais Hospital in the city received 16 wounded, some of them in critical condition, a doctor said. The anti-mine team had been travelling to a mine-clearing site, said Zalmy Ayoubi, spokesman for Kandahar province Gov. Tooryalai Wesa. In Kandahar City, additional U.S. civilian staff have been brought onto the Canadian Provincial Reconstruction Team to bolster co-operative work on governance and development in Kandahar province as Canada prepares for a military pullout in 2011, and the U.S. is sending thousands of additional troops to southern Afghanistan. 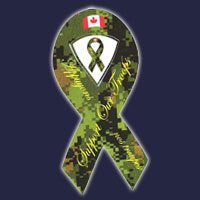 KANDAHAR AIRFIELD, Afghanistan - After an emotional Easter-weekend ceremony to honour nine Canadian soldiers who have fallen in recent years, parents of dead sons called for Canada's troops to remain in Afghanistan after 2011. While military brass continue to assert Canada's mission has made significant headway toward stabilizing Afghanistan, Prime Minister Stephen Harper repeated as recently as Tuesday that all Canadian troops will leave the war-torn country by the end of next year, to be replaced by diplomatic and aid workers. "Mr. Harper, you've still got to have security," said Myles Kennedy, whose son, Pte. Kevin Kennedy, was killed on Easter Sunday in 2007. Withdrawing all the soldiers would "send the wrong message to the world," said Mr. Kennedy, a high-school teacher in northern British Columbia who came to Afghanistan with his wife, Kay, and attended Saturday's ceremony. "If you look at our history, we always went in with strong moral causes, and we went in to do a job," Mr. Kennedy said. "Our job will not be complete if [Harper] pulls out the whole group. We have to maintain some type of military presence for security, and . . . to let the world know that we haven't really abandoned this mission." Other parents among the 18 family members flown here for the ceremony expressed similar views on the withdrawal. Theresa Charbonneau, whose son, Cpl. Andrew Grenon, died in September 2008, said she wants Canadian troops to stay in Afghanistan to fight the global terrorist threat. Grenon had written a poem that ended with the words, "I fight so my children won't have to," she said. "One hundred forty-one Canadian lives have been lost. The journalist has been lost. The diplomat has been lost. I don't want their deaths to be in vain," she said. "I don't want to see (Afghanistan) collapse. If by staying longer we can help that not happen . . . I would like to see that." The parents' statements followed a 45-minute tribute to Grenon, Kennedy, Cpl. Stephen Bouzane, Cpl. Mark McLaren, Sgt. Gregory Kruse, Master Cpl. Scott Vernelli, Sgt. Vaughan Ingram, Cpl. David Braun and Cpl. Aaron Williams. "It is easy to use words like service and sacrifice," Canadian Brig.-Gen. Daniel Menard, commander of Canadian troops in Afghanistan, said to the family members seated facing the cenotaph outside the Task Force Kandahar headquarters. "As you know, it is quite another thing to live and breathe those words every day. "Every time we step out on patrol, we know that each and every name on this monument is watching over us. I would like to highlight the effect that your presence has on the men and women in theatre. Your presence gives comfort to them, just as I hope that your time here will give you some comfort as well."